Users of classictruckcentral.com are generally looking to buy or want to sell a classic truck. 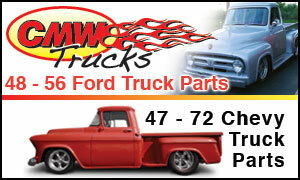 Many trucks are in need of new parts when they are being sold. This becomes a great opportunity for aftermarket and restoration suppliers to advertise to a targeted classic truck market. If the person looking for the truck is new to vintage trucks, your company can make the first impression. Avg. Time on Site 3 min. 4 sec. Ad prices include one ad version on all CTC web pages that links to one website page. Please ask us about custom advertising options. ClassicTruckCentral.com is a partnership between Platapult, Inc. and Eckinger Marketing.